To check the status of your license, CME requirements, license expiration, state-to-state license reciprocity, and all other license-specific questions, please contact the Bureau of EMS (BEMS) at 801-273-6666 and not EMT Utah. 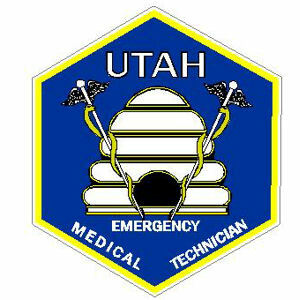 EMT Utah is a separate entity from the state agencies and cannot access all license information. Please allow us to assist you with obtaining CME hours for recertification, Psychomotor exams, and EMS courses. AEMTs are required to renew their certification every two years. Nationally Registered AEMTs (NRAEMTs) can recertify by either taking the cognitive examination or by completing continuing education. As for state licensure, as long as recertification is current within NREMT, the state licensure will be recertified as well, as long as the BEMS account is kept current and application fees are paid. AEMTs who are not Nationally Registered should create an NREMT account to submit their recertification (CME/Exam Recert) to NREMT and that will sufficiently update the state certification. You do not need to submit recertification (CME/Exam Recert) to both the state and national agencies, regardless of whether or not you are Nationally Registered. The Advanced-EMT National Continued Competency Program (NCCP) requires a total of 50 hours of continuing education to recertify. The model requires continuing education in three components: (1) a national component, (2) a local/state component, and (3) an individual component. The National Component requires AEMTs to complete 25 hours of approved continuing education. A maximum of 8 hours of distributive education* may be used to meet the 25 hour requirement. A maximum of 8 hours of distributive education* may be used to meet Utah’s 12.5 hour requirement for the Local/State component. The individual hours are considered flexible content. You may use any CAPCE approved EMS–related education to fulfill these requirements (i.e. ACLS, PALS, PHTLS, AMLS). A maximum of 12.5 hours of distributive education* may be used to meet the 12.5 hour requirement. *Distributive Education is a method of delivering EMS education where the education and student are not able to interact in real time. Examples include online courses, journal article review, and videos. Courses that cannot be applied towards recertification requirements include duplicate courses, clinical rotations, instructor courses, management/leadership courses, performance of duty, preceptor hours, serving as a skill examiner, and volunteer time with agencies. In total, of the 50 CME hours required to recertify, 28.5 hours can be done as distributive education and 21.5 hours must be completed with real-time interaction with an instructor. Some AEMTs are able to obtain CME hours through their employers or from other educational pursuits. EMT Utah offers CME packages in a variety of options to suit the needs of any AEMT looking to recertify by continuing education. The 25 hour National Component required by NREMT includes time requirements within a number of EMS topics. When calculating these hours based on the education you’ve completed, consider the fact that there is a lot of overlap in EMS education. For example, if you sit in a lecture on OB emergencies for two hours, that fulfills the 0.5 hour requirement for OB Emergencies, but the other 1.5 hours of that lecture may still count. If the 2-hour OB lecture also covered hemorrhage control (0.5 hours required) and pediatric transport (0.5 hours required), then you can apply some of the time you earned in that lecture toward those topics. If you have completed CME hours and are not sure how to submit them to NREMT, check out this video with instructions from the NREMT. This option enables you to demonstrate continued cognitive competency without documenting continuing education; however you may only make one attempt to pass the exam. To read how to recertify by Examination, read the instructions on NREMT’s website. EMT Utah offers packages for all of the above methods to obtain authorization to test in addition to offering NREMT psychomotor exams. This is called reciprocity and it depends entirely on each state’s requirements and that state’s relationship with the state of Utah. Whether you are moving to Utah or to another state, start by contacting BEMS at 801-273-6666 and let them know which state you are transferring from/to and they can assist you from there.